A study in disparate personalities, but karmically meant to bond; Viggo Mortenson and Mahershala Ali shine in their roles as Tony Vallelonga (1930-2013) and Don Shirley (1937-2013) virtuoso piano player, an inimitable road trip, where Italian driver, “Tony Lip”, chauffeurs African-American Shirley to his engagements through the South; it is 1962 and “The Green Book” lists the establishments where people of color should stay; despite predictable altercations, the actors are sublime in gingerly relating to each other; car conversations eliminate their cultural variances, resulting in a valid, lifelong friendship. Both men enchant. Director Peter Farrelly with input from Nick Vallelonga (Tony’s son) capture the Italian aesthetic of Tony’s universe, where Shirley’s is a cloudy enigma; he lives, elegantly in the upper echelons of Carnegie Hall; “Green Book” soars as the barriers between the two cultures blur and blend. Shirley’s prodigious talent, performed before predominantly white audiences, converts Tony, whereas Don’s effeteness melts as Tony’s self-confidence prevails in their numerous confrontations; minimal but engaging, are the lettering writing scenes where Shirley comes to Tony’s aid (Cyrano style) in writing to his wife, Dolores (beguiling, Linda Cardellini); warmth, humor and genuine fondness germinate from these delicious moments. 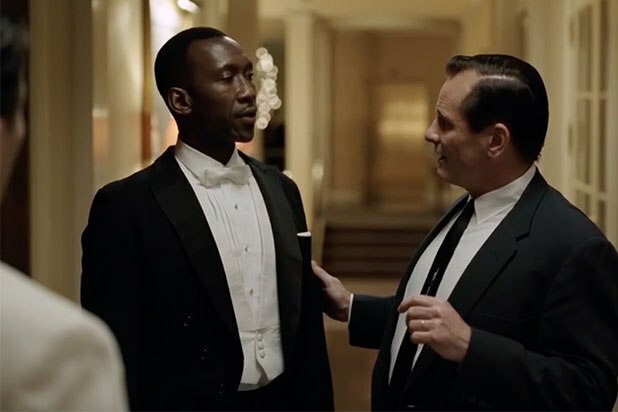 “Green Book” accomplishes its mission; audiences are uplifted, granting that love and friendship should forever be colorblind. Hope the movie mentions that Don Shirley was Jamaican! !